With The Edinburgh Film Festival 2010, which runs between 16-27 June, only a matter of weeks away, the red carpets are getting waterproofed and the popcorn machines are getting serviced. Now in its 64th year, the twelve day festival, packed with premières, special events and parties, is imminent. Rumours of what will and won't be screening are emerging - watch this space - but screenings are consistently up to the standard of past premières, which include Taxi Driver, Manhattan, Blade Runner, Back to the Future, Pulp Fiction and ET, so expectations run high. One of the two films confirmed so far is the third and final Toy Story on Sat 19th June, which will be shown in the fashionable, if slightly tiresome, 3D format. Edinburgh will be the first audience to set eyes on the film, it having opened in the USA just hours before. The release of the third instalment marks the 15th anniversary of the first film of the series. The original Toy Story film, directed by John Lasseter in 1995, was a huge success and was the first full-length feature film made entirely using CGI animation. The usual Toy Story voiceovers are back, from American-friendly stars Tom Hanks (Woody) and Tim Allen (Buzz Lightyear), plus some new characters voiced by Michael Keaton and Timothy Dalton. The EIFF has an established relationship with Disney, and past years have seen Festival premières include Academy Award-winning WALL•E and Ratatouille. 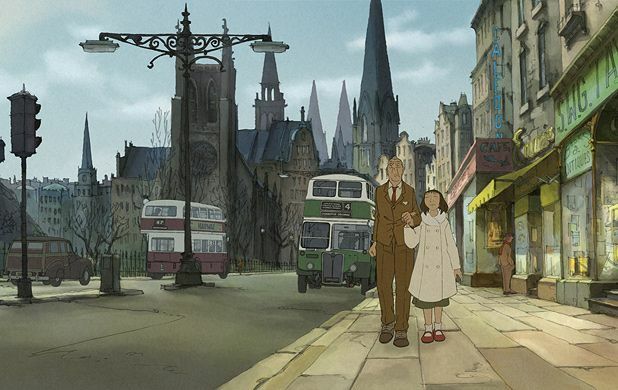 Another première confirmed is Academy Award-nominee Sylvain Chomet’s The Illusionist. Best known for 2003's Belleville Rendez-Vous, Chomet relocated his animation studio to Edinburgh in 2004. Scripted by French cinematic comedian Jacques Tati, the Opening Gala screening at the specially refitted Edinburgh Festival Theatre on Wed 16th June will include a red carpet "extravaganza" celebrating the art of illusion. Early reviews of the film describe it as a story of two individuals - a Scottish girl, Alice, and an ageing magician searching the country for a venue to perform his act - whose paths cross, and set against a flattering backdrop of Scotland. The refurbishment of Edinburgh's Festival Theatre, a £245,000 project funded by The Scottish Government, will create the largest cinema space in Scotland, providing the venue with the ability to host major film premières in a 1,600 seat space in both digital and film formats. The full EIFF 2010 programme is announced on Tue 1 Jun and tickets go on sale at midday on Thu 3 June. The List will be providing comprehensive coverage. Press accreditation is open now - email press@edfilmfest.org.uk.